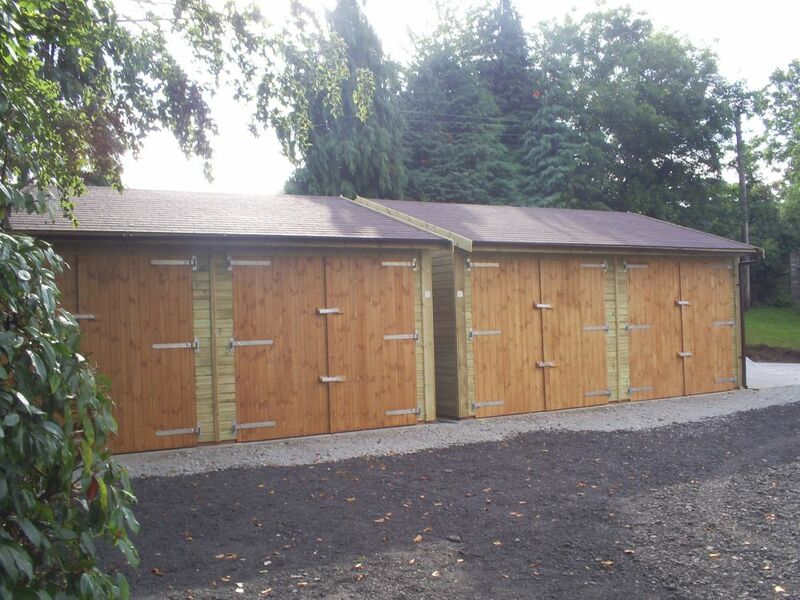 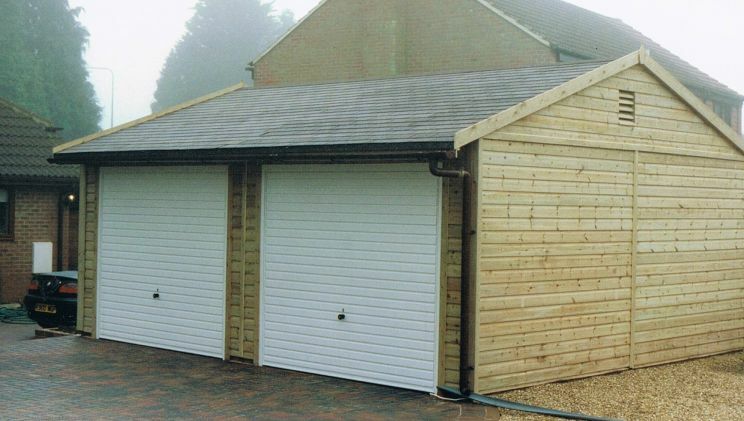 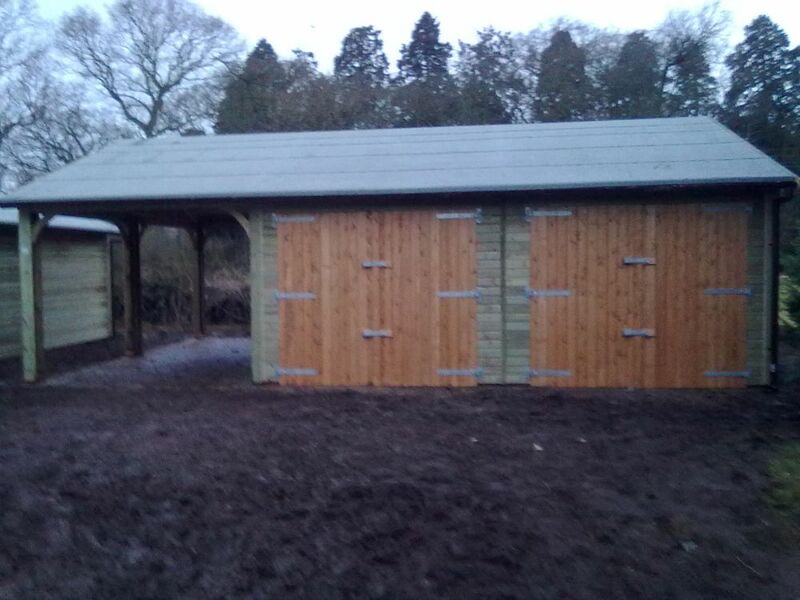 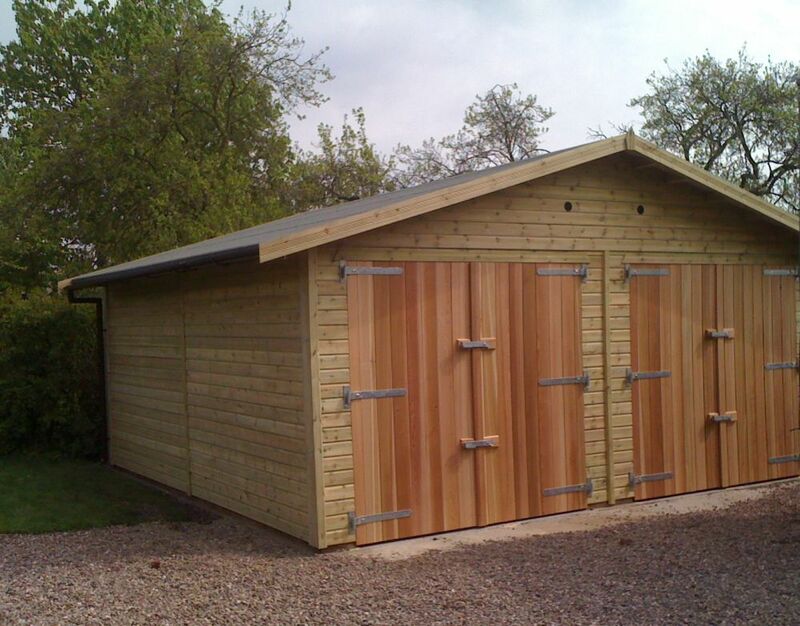 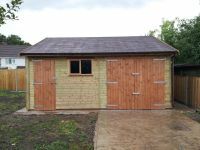 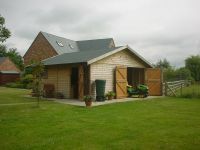 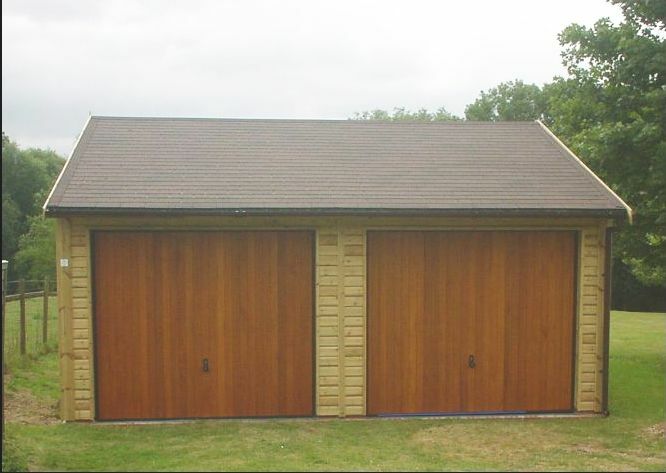 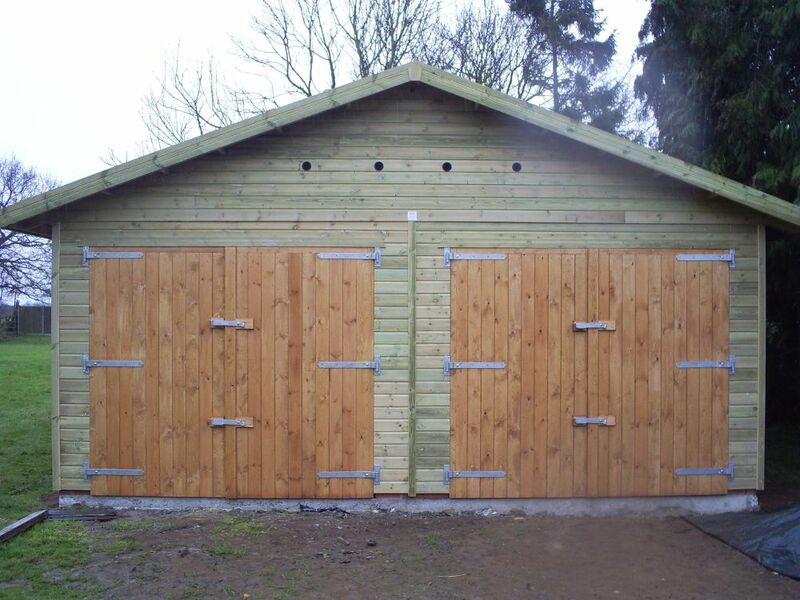 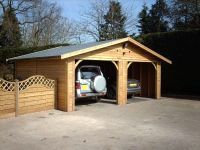 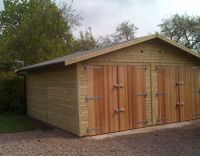 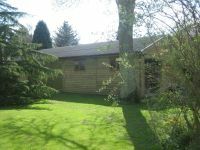 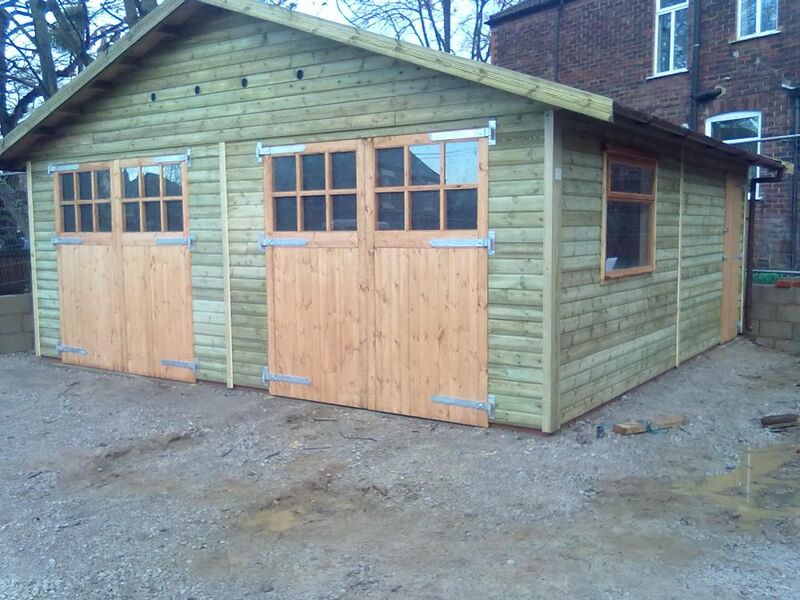 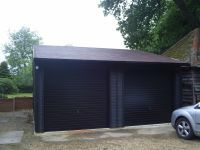 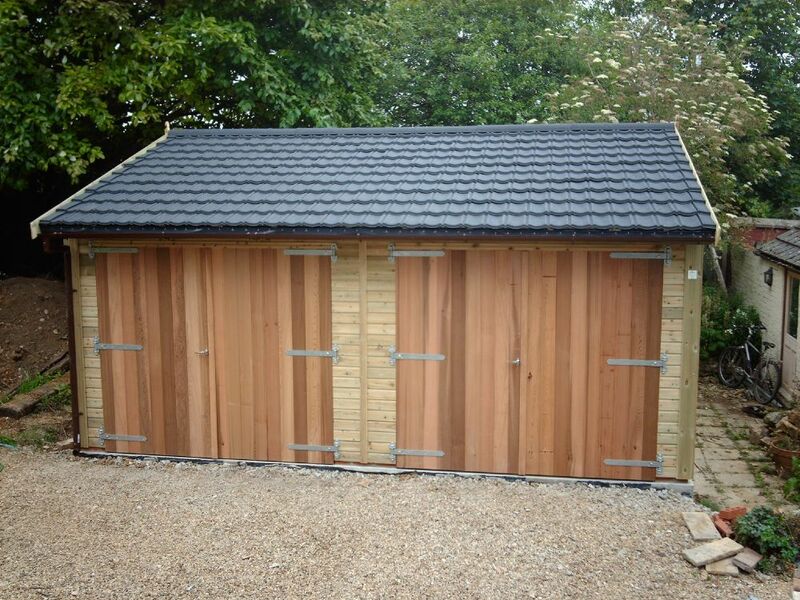 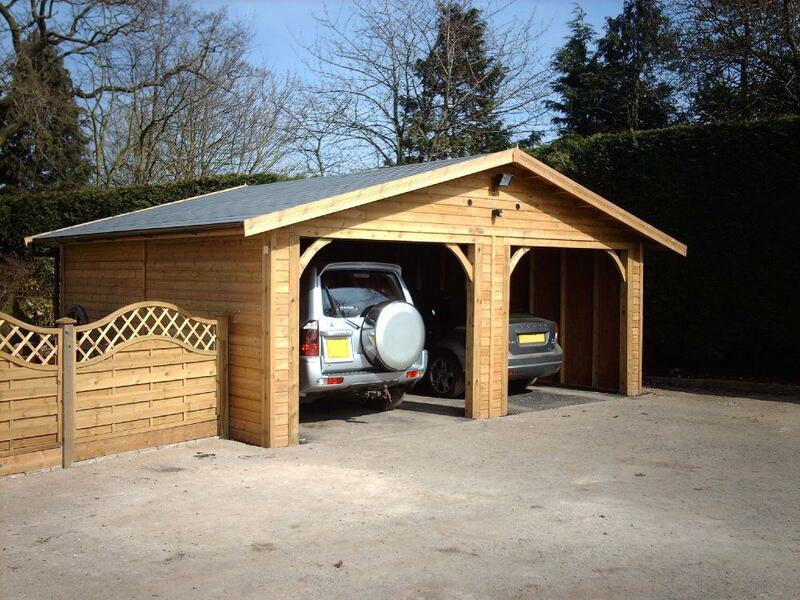 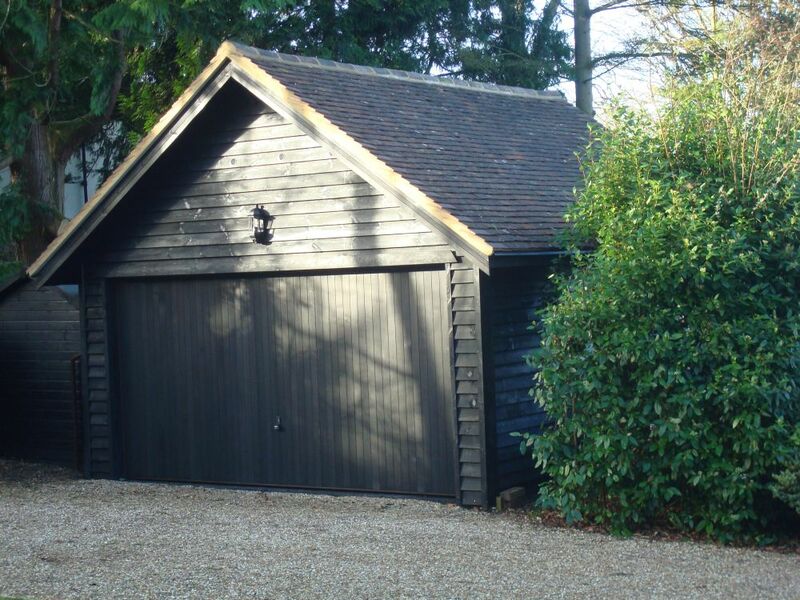 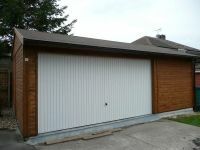 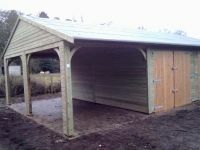 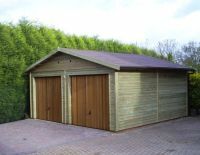 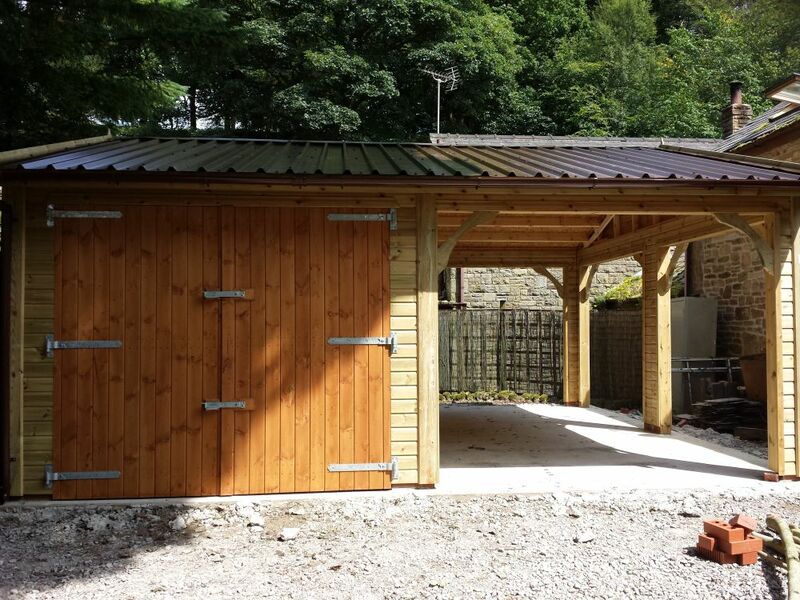 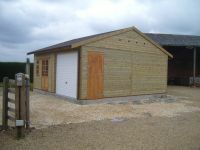 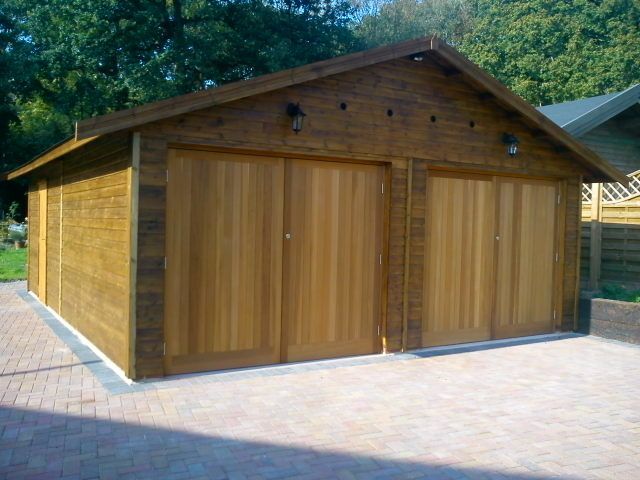 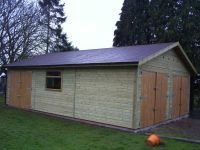 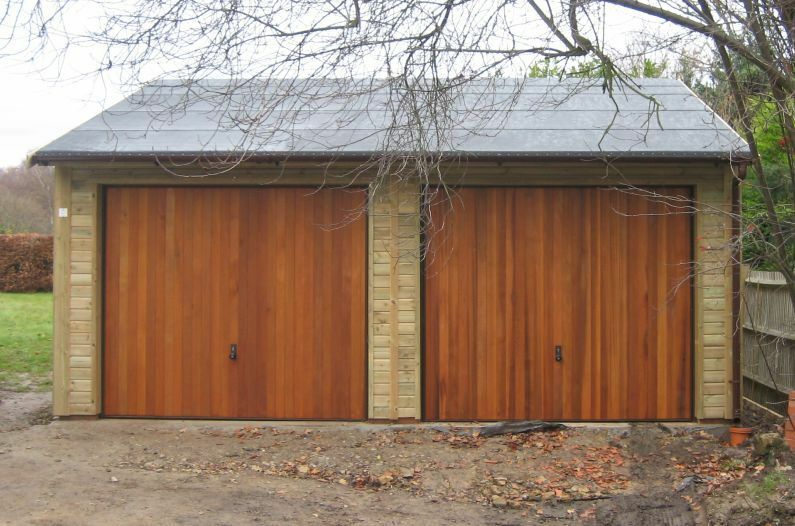 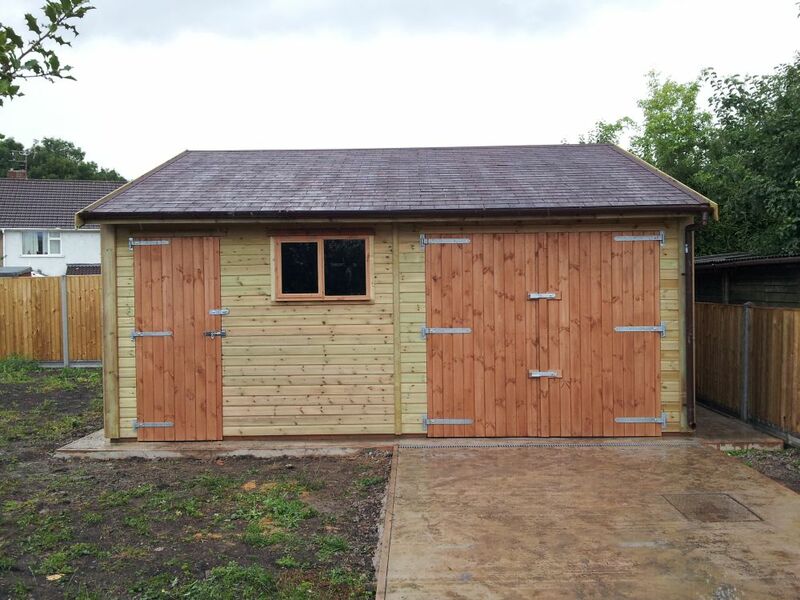 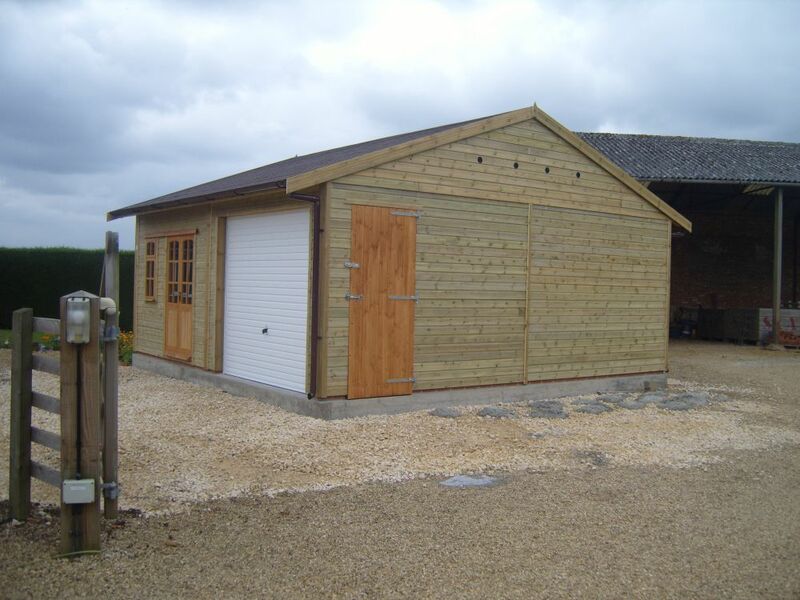 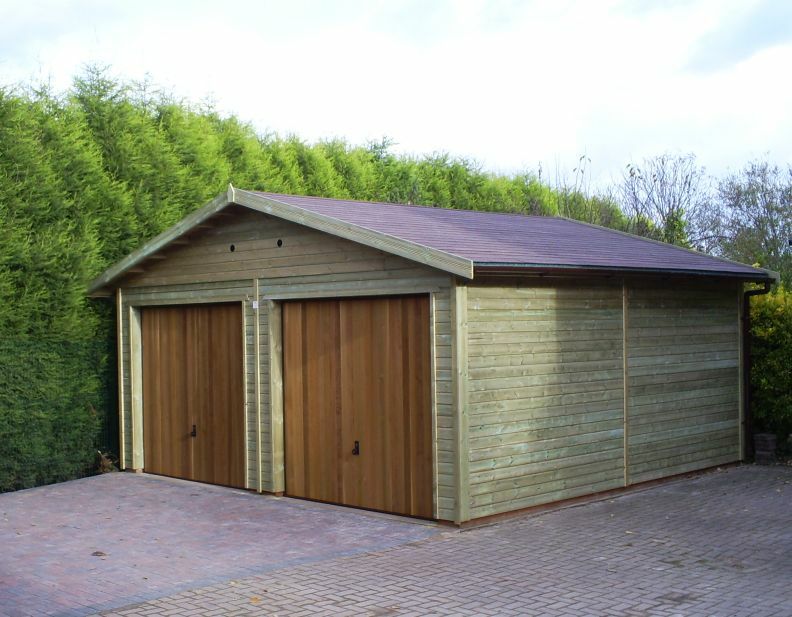 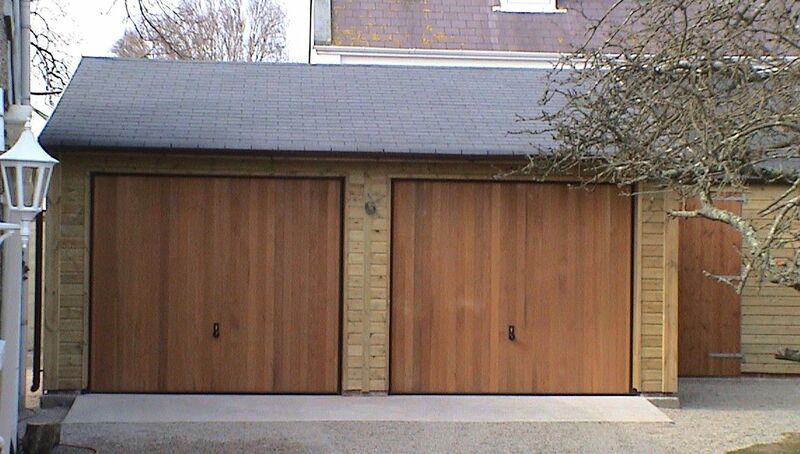 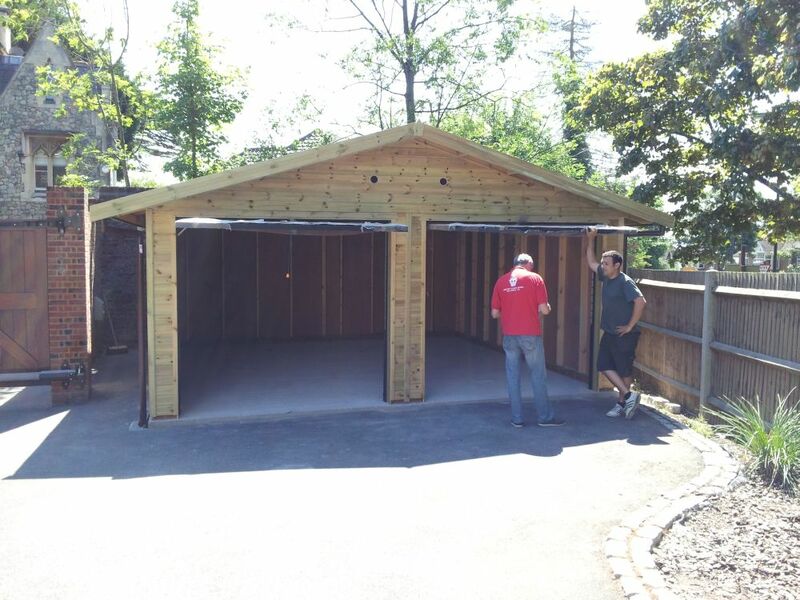 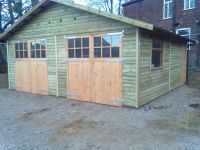 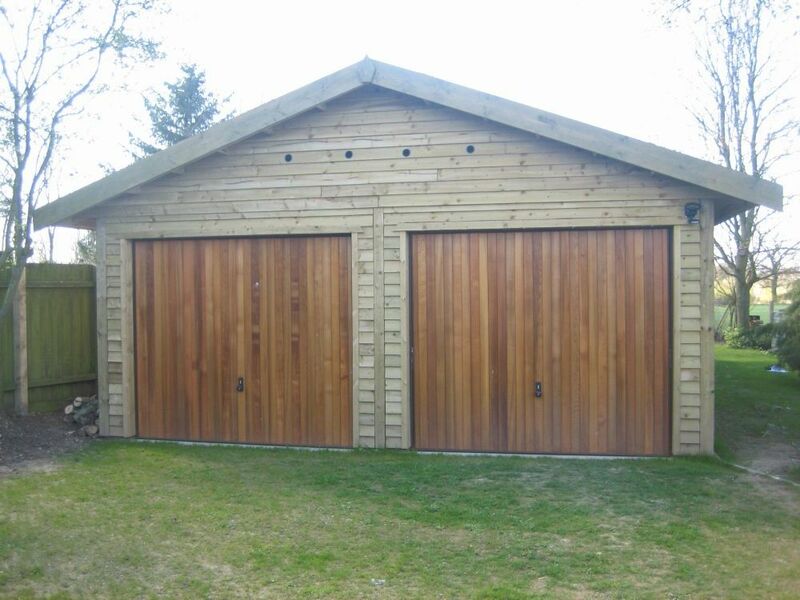 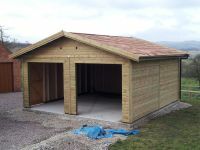 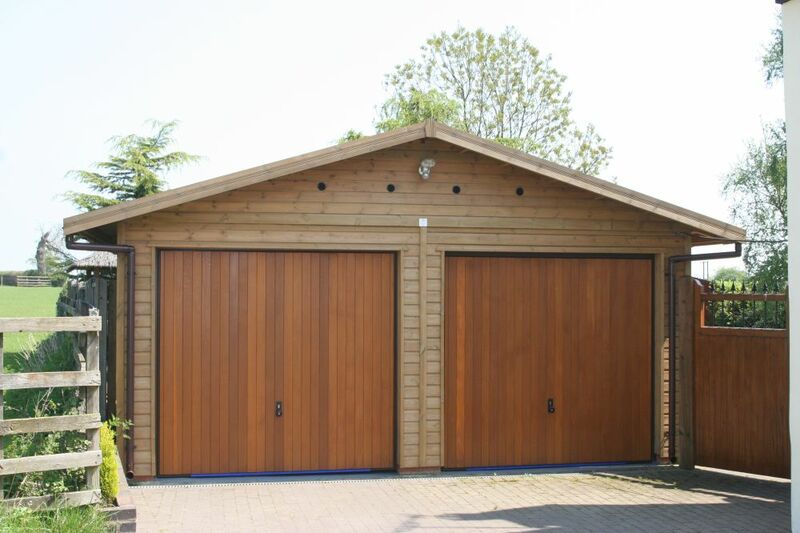 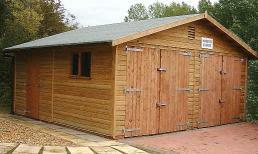 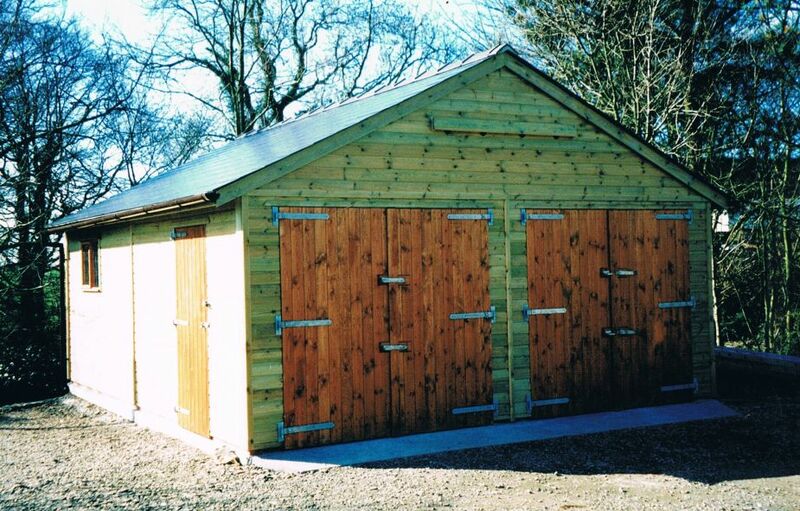 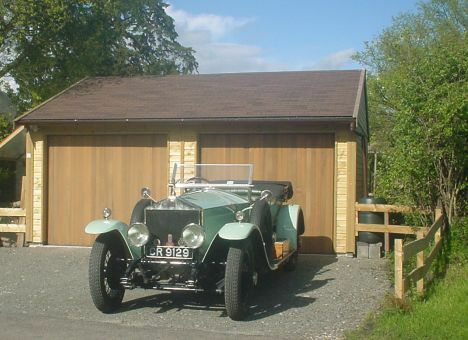 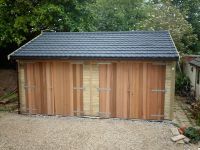 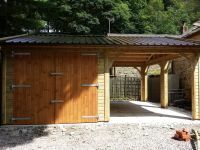 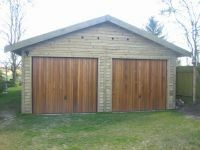 Double garages start at 18' wide and feature 2 sets of standard double doors. 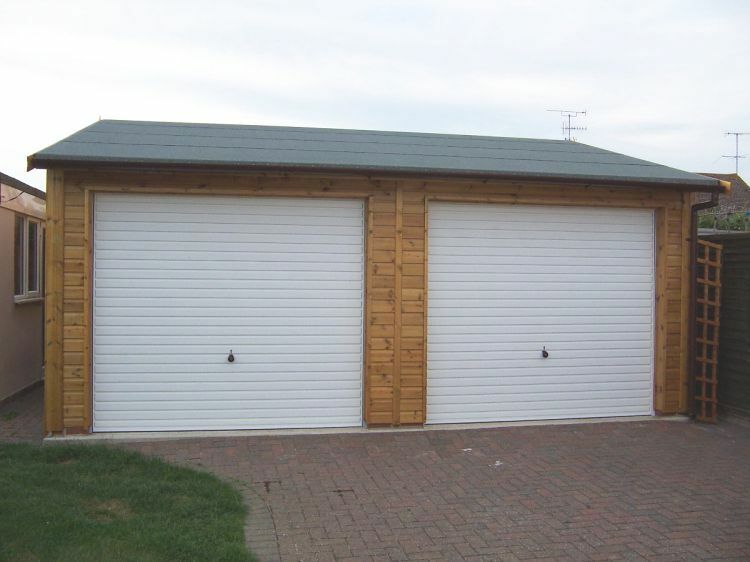 In the 18' version, we can only fit 2 sets of 7'3" wide double doors, however for 19' wide + buildings, 2 sets of 8' wide double doors are included. 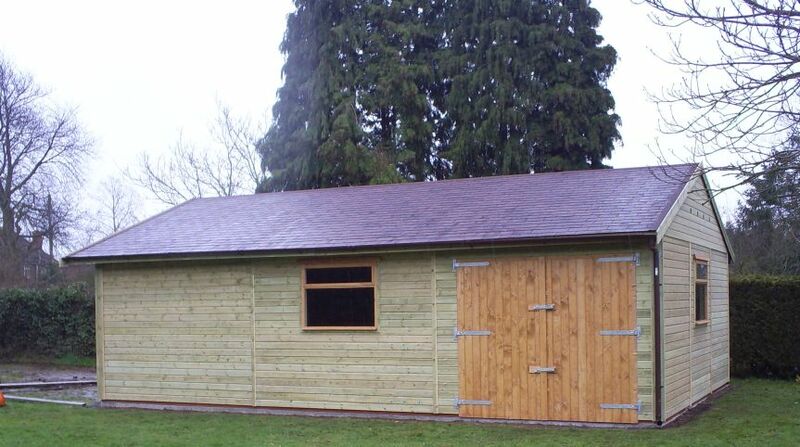 Also standard is green mineral felt and guttering.